Recently I got a request to enable multicast on the Cisco UCS so that the RedHat cluster can exchange heartbeat through multicast. 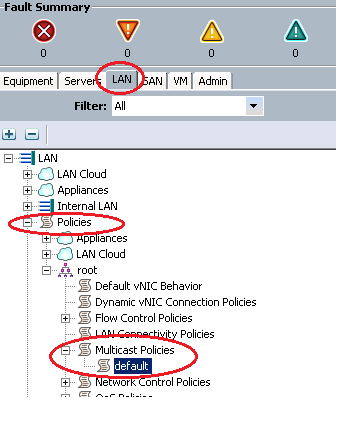 By default IGMP snooping is enabled in the cisco UCS through the default multicast policy. Create a multicast policy with IGMP snooping disabled. Attact that policy to the VLAN you created for the Redhat cluster heartbeat( multicast). After making the changes try pinging from the Linux host through the multicast interface you will get multiply reply depend on how many node in the cluster. You need to configure IGMP snooping on the nexus switch too if the traffic is passing through the Nexus. Cisco UCS Enable TACACS+ authentication.